Very nice and rare table lamp designed and made by Banci Firenze, Italy 1970. 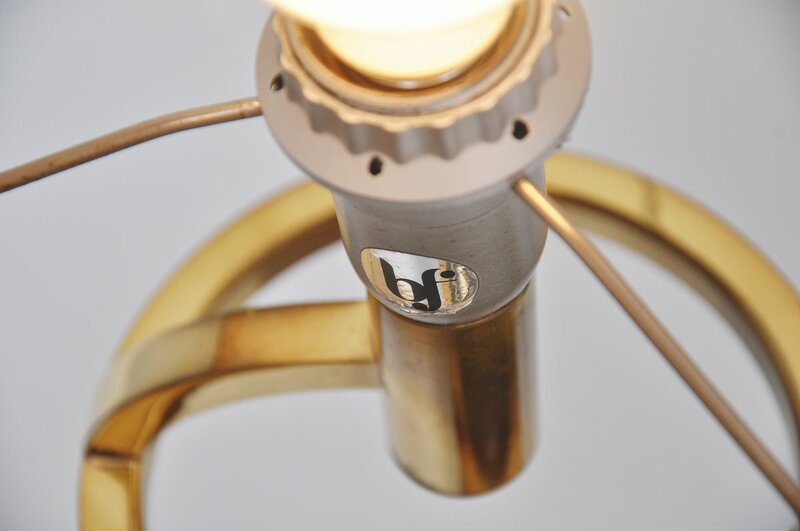 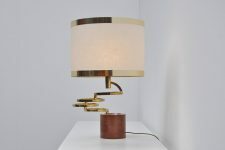 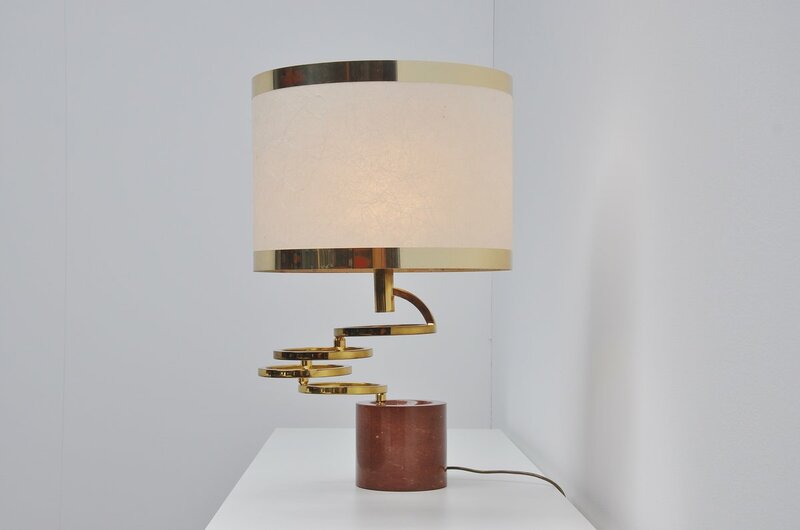 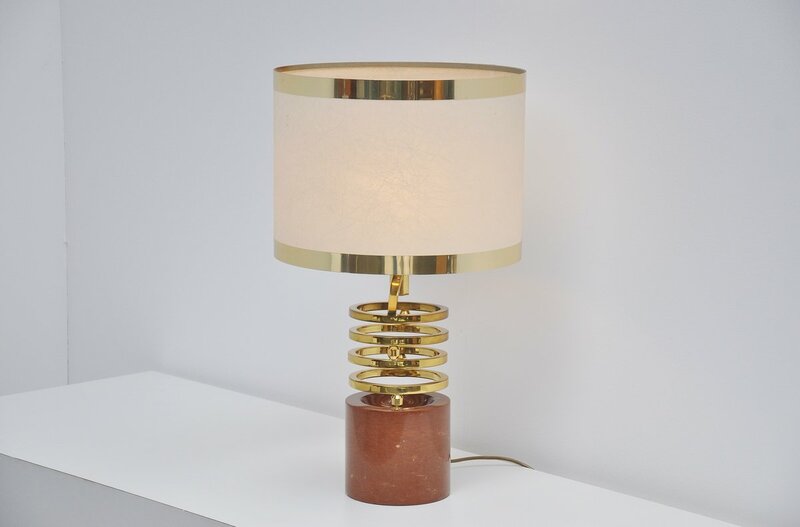 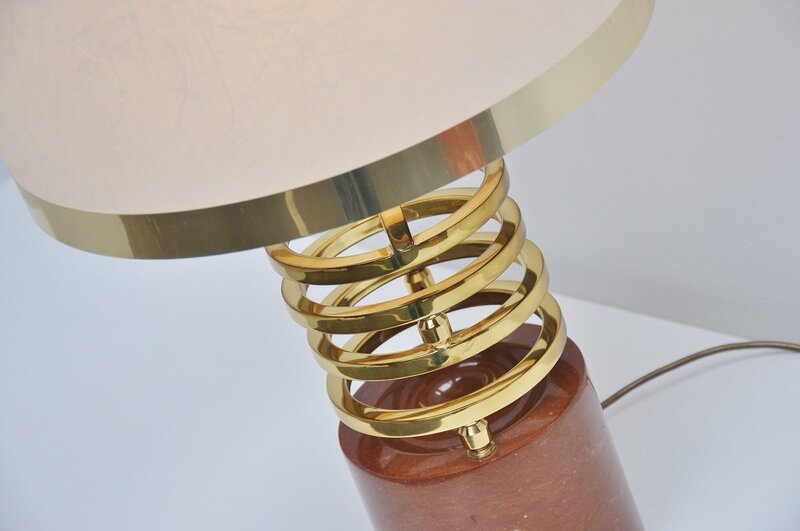 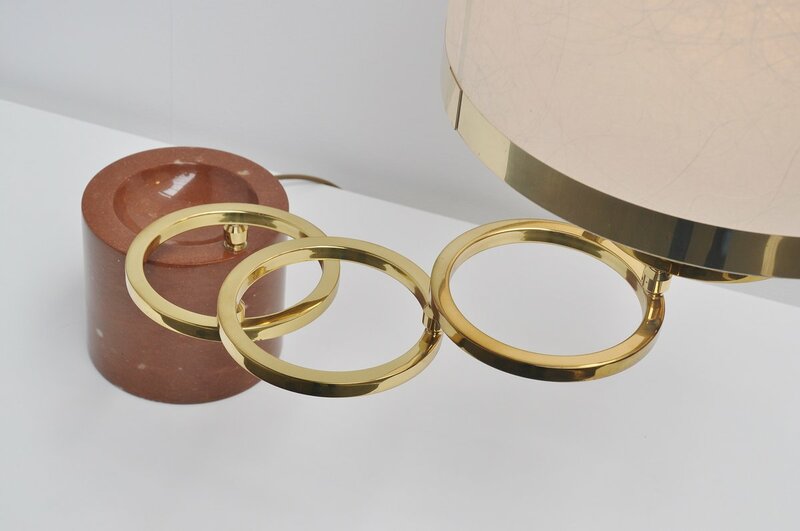 This amazing table lamp has a rotating option by moving the brass rings. 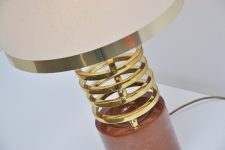 Its an amazing design that was created in the same line and style as the revolving tables by Rizzo. The base was made of red marble and the rings are in brass. The lamp has its original canvas shade with brass strip on the corners. 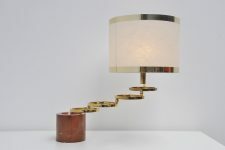 Fantastic and very rare Italian lamp.